Preferential Qualification: Provided that other things being equal preference shall be given to candidates who possess a degree in Sociology or Psychology. Provided further that other things being equal preference shall be given to those who have practical experience in having done Social Welfare work or who possess a Diploma in Social Service including experience in Social and moral hygiene and after care work. (xi) Who are Released Short Service, Regular Commissioned Officers or Emergency Commissioned Officers or Other Ex-Servicemen. Educational Qualification: A Bachelor’s degree of any university or Institution recognised by the UGC for the purpose of its grant. Preferential Qualification: Provided that other things being equal preference shall be given to persons who possess a B.L. degree in addition to the qualification specified. Educational Qualification: A Degree of any University or Institution recognised by the University Grants Commission. Educational Qualification: A Master’s Degree in Commerce or Economics or Statistics or A Bachelor’s Degree in Commerce or Economics or Statistics with a pass in the final examination of the ICWAI. Educational Qualification: (i) A Master’s Degree. (ii) A Bachelor’s Degree and BGL Degree or (iii) A Bachelor’s Degree with first class in any one of the parts. Provided that in the case of a candidate belonging to SC,SC(A),ST,MBC/DC, BC (Other than BCM) and BCM it shall be sufficient if he/she holds a Bachelor’s degree. Educational Qualification: Must possess Master’s degree in Computer Application or Master’s degree in Science (Information Technology / Computer Science). Educational Qualification: A degree of B.A., or B.Sc., or B. Com., or B.O.L., of Annamalai University or B.B.A., of Madurai Kamarajar University or B.Litt., of Madras University or B.B.M., or B. Litt., of Bharathiyar University or P.G. Diploma in Agricultural Economics and Co-operation awarded by the National Council for Rural Higher Education. Educational Qualification: A degree of B.A., or B.Sc., or B. Com., or B.O.L., of Annamalai University or B.B.A., of Madurai Kamarajar University or B.Litt., of Madras University or B.B.M., or B. 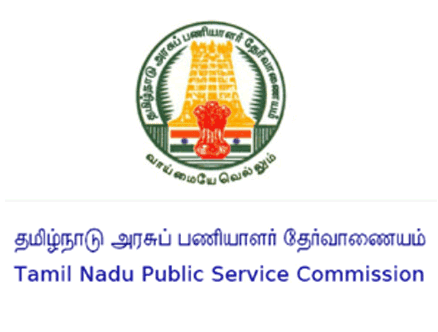 Litt., of Bharathiyar University Note: Persons professing Hindu Religion alone are eligible to apply for this post. Educational Qualification: Any Degree or A Diploma in Rural Services awarded by the National Council of Rural Higher Education. or A Diploma of Associate Member of the Institute of Chartered Accountants. Preferential Qualification: Other things being equal, preference shall be given to the candidates possessing such qualification and in such order as specified below: (i) M.A., Degree in Co-operation; or (ii) M.Com., Degree with Co-operation as one of the subject; or (iii) B.A., Degree in Co-operation; or (iv) Higher Diploma in Co-operative Management awarded by the Natesan Institute of Co-operative Management, Madras; or Institute of Co- operative Management, Madurai. Educational Qualification: i) Degree in B.A., or B.Sc., or B.Com., of any University recognised by the University Grants Commission OR ii) A diploma in Handloom Technology or Textile Technology or Textile processing or Manmade Fibre Technology awarded by the State Board of Technical Education and Training in Tamil Nadu. Preferential Qualification: Provided that Preference shall be given to persons who possess a degree in Commerce. Educational Qualification: Degree of any University or Institution recognised by the University Grants Commission. 22. Revenue Assistant in the Revenue Department in various Revenue Units. Educational Qualification: A degree of B.A., or B.Sc., (other than in a professional subject) or B. Com., of any University or B.O.L., of Annamalai University or B.B.A., of Madurai Kamarajar University or B.Litt., of Madras University or B.B.M., or B. Litt., of Bharathiyar University. 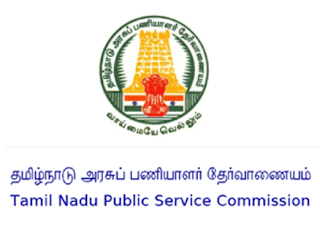 Knowledge in Tamil (தமிழ்): Applicants should possess adequate knowledge in Tamil. (iii) an Oral Test in the shape of an Interview. Fee For One Time Registration (Revised with effect from 01.03.2017 vide G.O. (Ms).No.32, Personnel and Administrative Reforms (M) Department, dated 01.03.2017). Note: Applicants who have already registered in One Time Registration system within the validity period of five years are exempted.